Yesterday, December 18, Whole Foods had the grand opening of its newest NYC area store in Brooklyn on 3 Ave and 3 St. On the roof is a 20,000 sq ft Nexus Atrium greenhouse. The rooftop greenhouse, operated and owned by Gotham Greens' team Viraj, Eric and Jenn is the second one from Gotham Greens. Jeff Warschauer from Nexus was so kind to send in some pictures of the new structure. 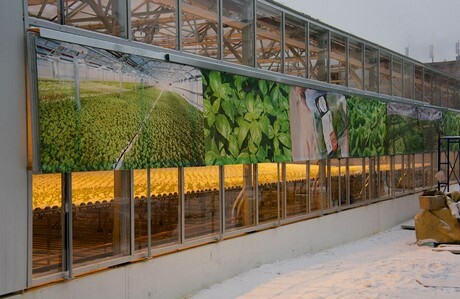 Currently a third New York City greenhouse is in the planning, which is estimated to be built early in 2014. Besides the rooftop greenhouse from Gotham Greens, the 56,000-sq.-ft. store from Whole Foods features a rooftop tap room and restaurant, a take-out venue from ramen chef Yuji Hariguchi. The new Brooklyn operation is a direct result from Whole Foods ongoing expansion drift. 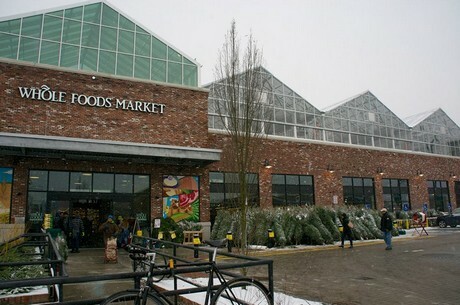 Currently, Whole Foods operates approximately 365 stores globally. The company has also stated it plans to expand to 1,000 stores located in the U.K., and Canada. Whole Foods Market sees the potential to expand to 1,200 stores throughout the United States, which is nearly three times the number of locations it currently operates worldwide, the company’s co-chief executives co-CEOs John Mackey and Walter Robb said in an interview on CNBC on Tuesday.